Caption: Lush workshops this weekend at Poole Dolphin Centre ©Lush Fresh Handed Cosmetics UK. The Dolphin Shopping Centre in Poole has partnered with Lush to offer free workshops for members of the public who will turn old bottle lids into keyrings. 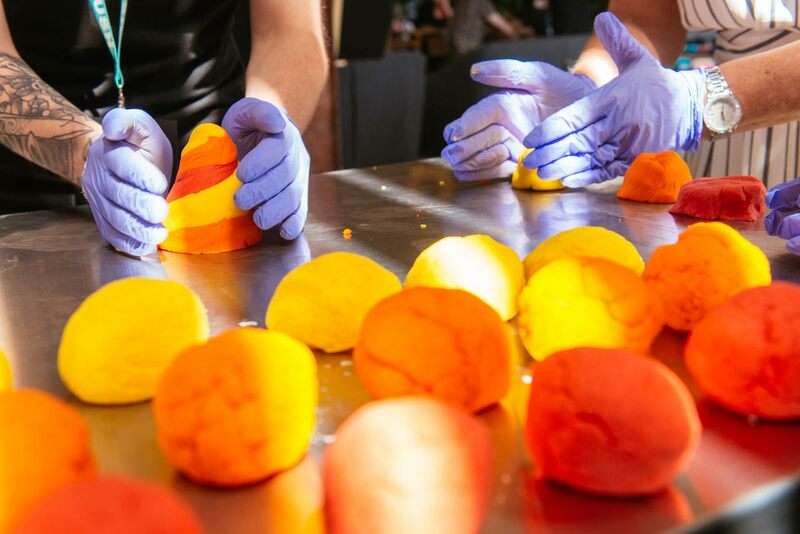 The Lush workshops will take place on Saturday 14 July and Sunday 15 July in the Dolphin Shopping Centre’s Eco Hub from 10am until 4pm with product-making sessions at 11am, 1pm and 3pm on both days. John Grinnell, centre manager at the Dolphin Shopping Centre, said, “We’re absolutely delighted to welcome Lush to the Eco Hub for a weekend of interactive and fun workshops. We’re huge advocates of the brand, which has its headquarters in Poole as well as a global reach. The workshops aim to encourage interest in Lush vegetarian and cruelty free cosmetics. There will also be recycling materials on display to encourage sustainability in the local area and to offer advice and information about the different types of recycled material used by the company. The Eco Hub launched earlier this year as part of the Dolphin’s ongoing commitment to sustainability and is located in the lower mall of the centre and is free to use.